← We made the Papers!!! Black tourmaline is one of the most popular crystals used for spiritual purposes. These crystals help alleviate negative thoughts, worry, anxiety, anger and ideas of unworthiness. 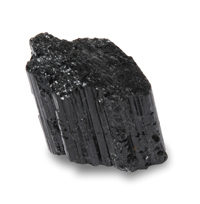 Black tourmaline is very powerful and provides energy needed during challenging times. Black tourmaline is especially useful for those who experience high levels of stress in their work or home lives. This stone helps purify the body of toxins and waste. Quartz is one of the most abundant minerals and can be found throughout the world. The largest single quartz crystal recorded was approximately 20 feet long and weighed more than 48 tons. 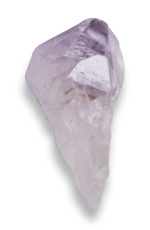 The quartz crystal is known as the universal stone and has a pure and powerful energy source associated with it. It receives, activates, stores, transmits and amplifies energy and enhances the effects of all crystals. It helps with relaxation and has cleansing and revitalizing properties. It is believed to protect against negativity and relieve pain as it stimulates brain functions and activates all levels of consciousness. 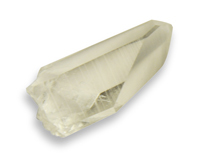 Quartz crystal is excellent for use in meditation and brings harmony to the soul. Amethyst belongs to the quartz family and color varies from a deep violet, to lavender to almost clear in some instances. This crystal is the most recommended stone to use to bring relief from stress. Amethyst soothes the nervous system and helps you feel more in control with memory and motivations skills improving. Wear amethyst when sleeping to reduce nightmares or when awake to reduce anger and impatience. In the past amethyst was known as the sobriety stone or ancient detoxifying stone. Citrine is actually burnt amethyst, the yellow color coming from the iron within the crystal, and can range in color from a clear yellow to a dark, burnt yellow. Citrine is used to improve mental and emotional clarity and can help with problem solving, memory, will power, optimism, confidence and self-discipline. An energizing and highly beneficial crystal citrine increases motivation, promotes physical activity and helps you to harness creative energy. This crystal can help develop inner calm and security and can help dispel negative feelings making us more accepting of the flow of events. 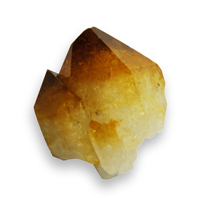 Citrine is a wonderful crystal to have in the workplace or study environment. Rose quartz – This pink colored crystal is used for healing the heart and is nature’s remedy for treating issues that need emotional healing. 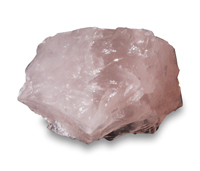 Rose quartz carries a very gentle and soothing energy and brings comfort to those whose heart has been wounded. Rose quartz teaches that the source of love comes from within and from that source of infinite love any wound, not matter how deep or painful, can be healed. Carry this stone to heal but also to uplift, bring confidence and a state of well-being into your life. 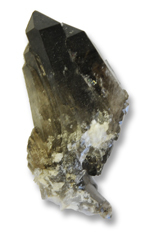 Smokey quartz – This crystal is a transparent smokey brown color ranging from pale to nearly black in its intensity. Smokey quartz will absorb and transform negative energies into positive energy and help with psychic and environmental protection. This crystal assists with communication and breaking through mental and emotional blockages that can get in the way of perception or learning. Smokey quartz contains lots of positive energy and can help you obtain your goals and dreams. Keep around your home, workplace and office environment. Celestite, also known as Celestine, from the Greek word “coelestis,” for celestial. This crystal brings mental calm and clarity in the midst of chaotic times. Celestite can allow you to flow through a traumatic period and still come out on top. 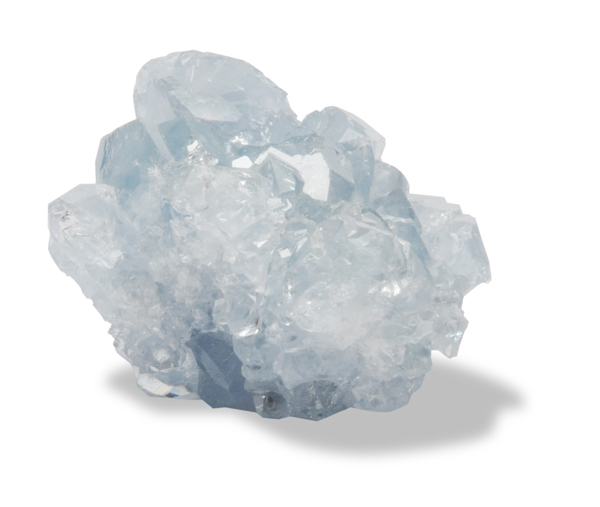 It’s ability to heighten divine intuition makes Celestite perfect for finding and maintaining inner peace. It is perfect to carry for those who are singers, actors, or speakers, as it will help to relieve stage fright or nervousness. A stone for peace and harmony, it has the potential to bring these qualities into daily living. It is a perfect stone to use during dream time. 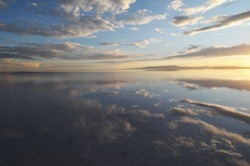 It will assist in recalling not only the dream, but also the specific details of the dream. Celestite is very fragile, and should be handled carefully. Do not keep this crystal in direct sunlight, as its color will fade. This entry was posted in Ojavan Products and tagged Amethyst, Bath Salt, Bath Salts, Beauty, Beauty Products, Body, Body Mask, Celestine, Citrine, Cosmetics, Crystals, Green, Green Products, Orgainic Products, Organic, Organic Products, Quartz, Rose Quartz, Smokey Quartz, Tourmaline. Bookmark the permalink.